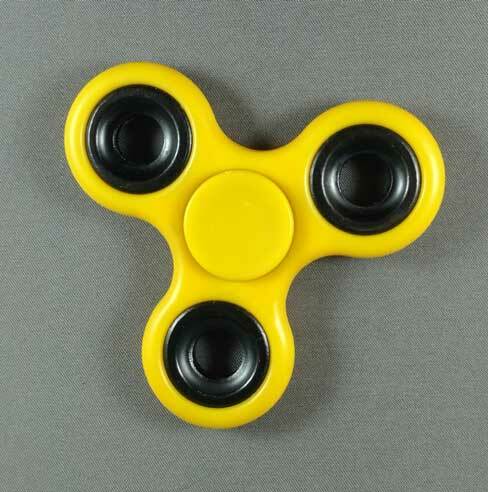 Yellow hand spinner fidget toy. Approximately 3" x 3". It is believed that fidget toys have a positive effect on the mental health of children with Autism or ADHD. Regardless of their therapeutic benefit, fidget toys are fun to play with.